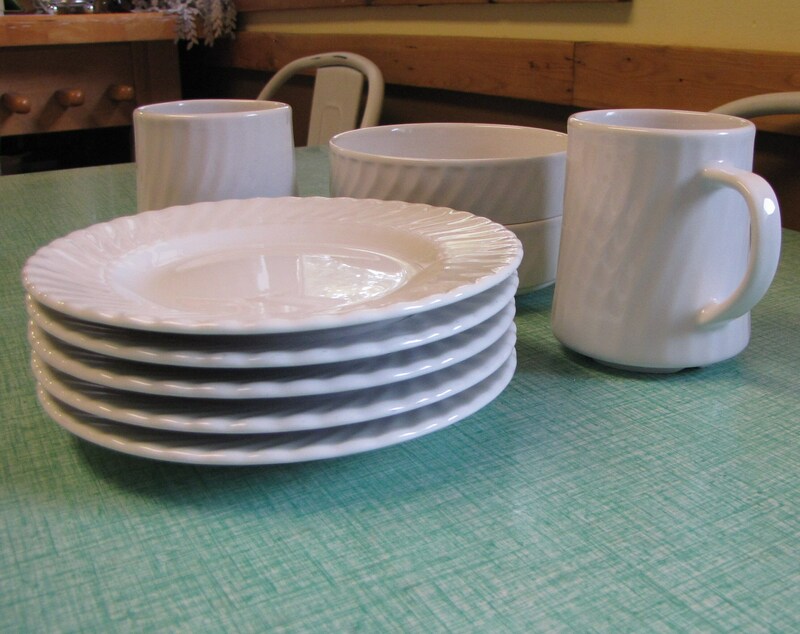 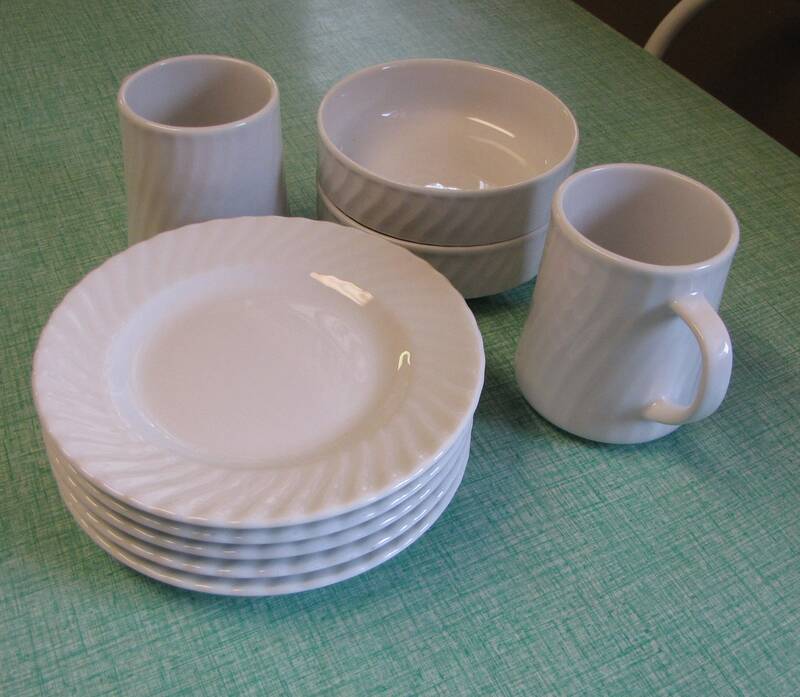 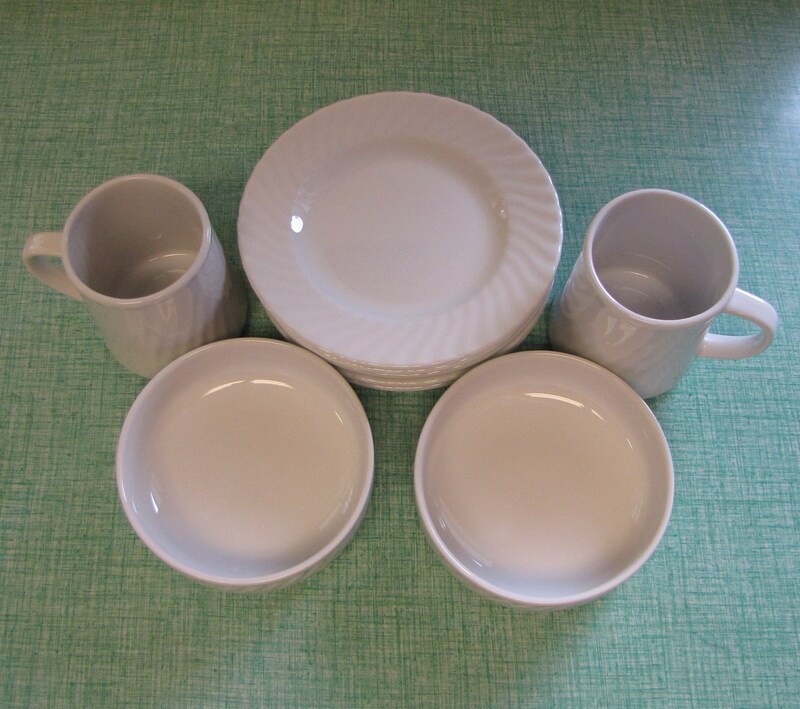 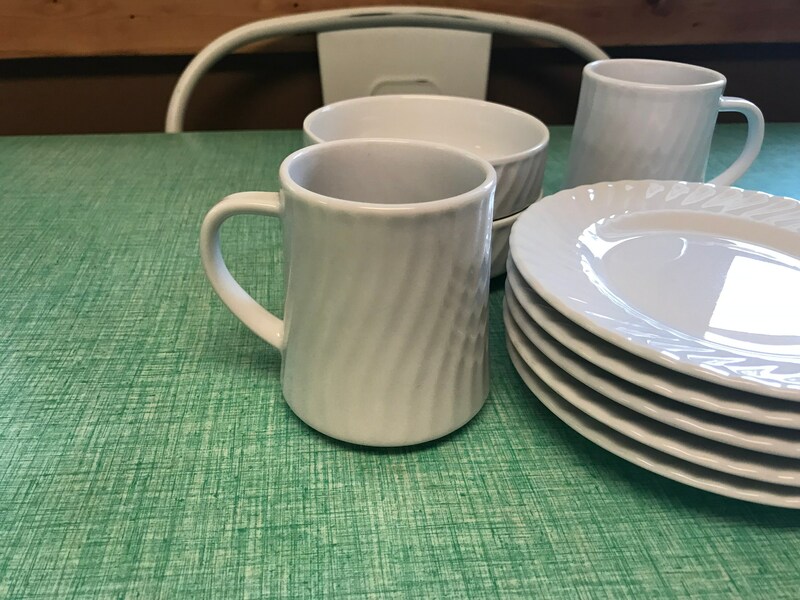 Two restaurant ware white coffee mugs that are in very good vintage condition with no chips, cracks, or crazing. 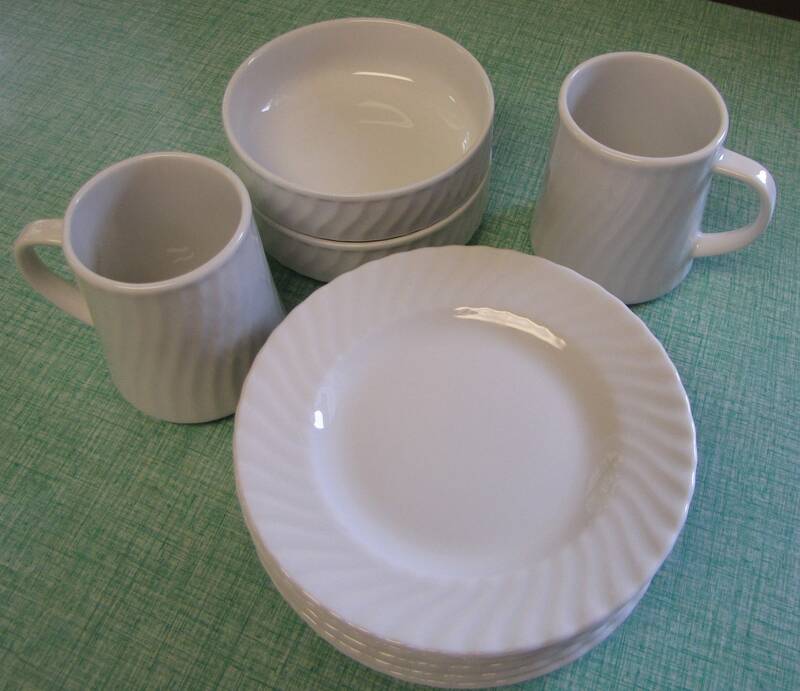 The mugs measure 3.5 inches tall, 2.75 inches in diameter at the top, and 3 inches in diameter at the base. 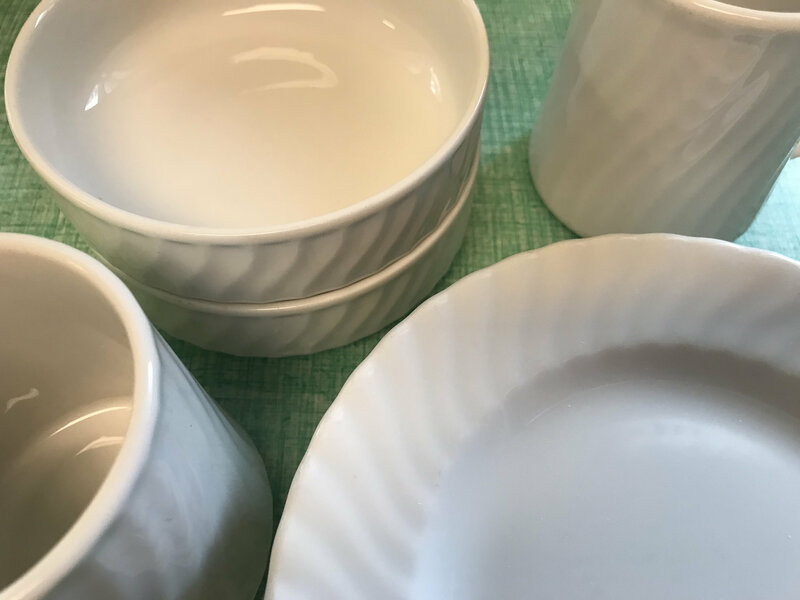 Two restaurant ware white small dessert bowls that are in very good vintage condition with no chips, cracks, or crazing. 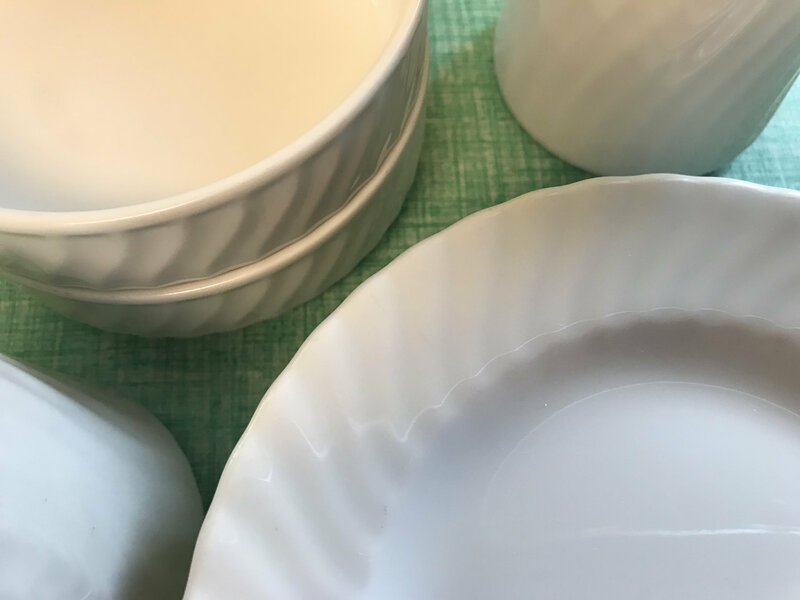 The bowls are 1.5 inches tall and 4 inches in diameter. 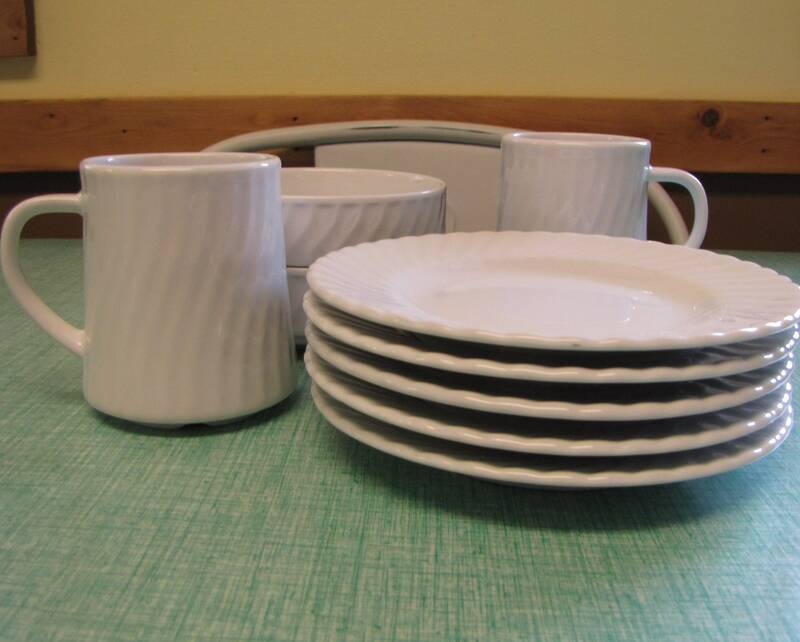 Five small bread plates that are in very good vintage condition with no chips, cracks, or crazing; light utensil marks. 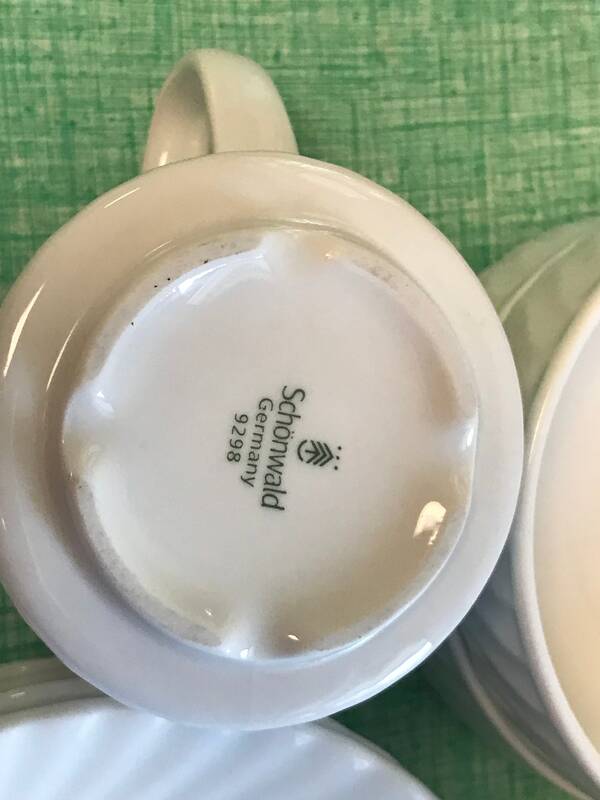 They measure 6.5 inches in diameter.